Mercury Marine has announced the shipping of its new 150hp OptiMax Pro XS engine to dealers and boat companies worldwide. Compared with the standard 150 OptiMax, the 150 Pro XS delivers 2.6 higher mph at top speed. The improved performance does not sacrifice fuel economy. 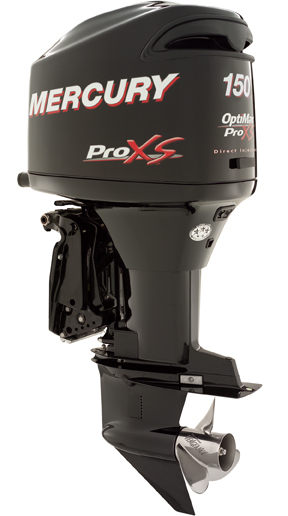 At cruise speed, the Pro XS provides 15 percent better fuel economy, saving boaters big bucks at the fuel pump.